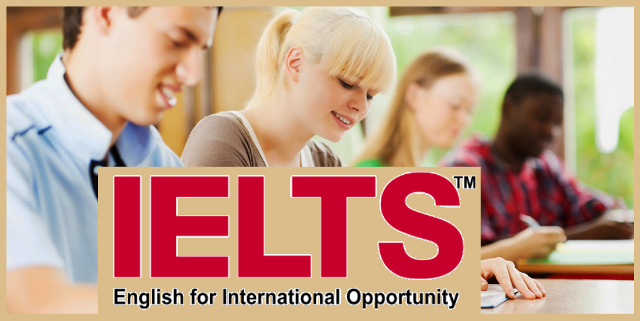 Are you thinking to prepare for the IELTS exams? Well, you are in the right place. For many students that are uninitiated, the idea of the exam might be a little bit intimidating to them. Even though the candidate is fluent in the language, sitting in such exams will require a great deal of attentiveness and concentration. So, for those candidates who are not so fluent in English, we are here to tell you that you will require a lot of hard work and commitment for IELTS preparation. Here are some tips that will help you prepare with the IELTS exam. With the help of these IELTS preparation tips, the candidates can get boost themselves up for the examination and score better. Make sure to follow each instruction carefully. Watch TV, Movies And English News - The IELTS test is basically designed in such a way that it can test the operational usability of the person and not just the basic knowledge that is on the book. So, it will be better for those people who are not so fluent in the language to watch TV shows, movies and news in English. They can also English newspaper, magazines etc. One more thing they can do is to keep speaking the language with the person who is familiar with it. In this way, the former will get some knowledge and improve his skills in the language. Time Management - Management of time is another great factor that every candidate has to excel in. Even though you know the answer to all the question but are not able to manage the time then it will be of no use. It is obvious that during the study and on the day of IELTS exam, the candidates will be under constant pressure and it becomes difficult to respond to the correct answer quickly. So, the practice you do at home is the main key to excel in such cases. Fix a certain time in which you are going to spend on one question. This will help in better IELTS preparation. Practice Test Series-One of the best things to do in order to excel in anything is to keep practicing. There are many centers that provide the candidates with mock test and study materials which can be of great help for the actual test. When you practice the mock tests at home, they will give you an idea about how the actual test is going to be and what each section consists of. This will help you to get all your concentration on the actual test rather than just following the guidelines. However, though the actual test and the mock test are nearly the same, it is advisable for the candidates to listen to the instruction that will be given on the examination hall. For knowledge about the IELTS exams here we have some of the statistics that will help the student to know better about the exam. The candidates who are sitting in the examination for the purpose of employment, around 18% got 6, 4.5% got 8 and 21% got 7. For the students who want to apply for the university with the help of these scores, only 9% of them scored 7 while 21% of other employees and 26% of the nurses have already scored it. Check If The Hardware And Headphones Are Okay- Before the start of the listening test, the candidates are provided with an example. This is the best time the candidates familiarise themselves with the audio that is played on the headphones. Try to see if you are comfortable with the audio and check if there is any kind of default in the software. When you find any default then immediately address it to the examiner before the test starts. Once the test is started, it can’t be stopped in the middle to address such issues. Listen To All The Questions Carefully - When the audio is being played, it is essential that the candidate listen to them very carefully and also read the question that is corresponding to the part that is played at that very moment. Keep on listen to the audio till it ends even there are no more questions left. All Is Not As It Seems-Most of the times the candidates will find out that the answers are not very similar or obvious. When it comes to finding the answers, the candidate needs to know that it is basically implied in the words of the speaker. What actually is spoken in the answer might not be the answer itself. This is where practice again comes to help the candidates out. With proper training and practice, the mind will be able to find out the answers from just these basic applications. This is one of the most important things that the candidates have to learn about. So, these are some the tips that the candidate can use to score well in the examination. Make sure you practice and manage the time wisely. 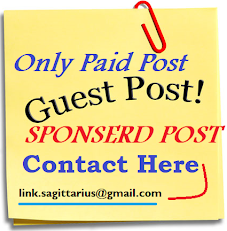 About Author: Garima Sharma is a versed blogger. She tries to discover new trends in the world and love to write blogs. She writes for a wide variety of topics including Education like GMAT, GRE, IELTS industry and also writes for Digital Marketing, Health, Fitness and Technology, and many more.